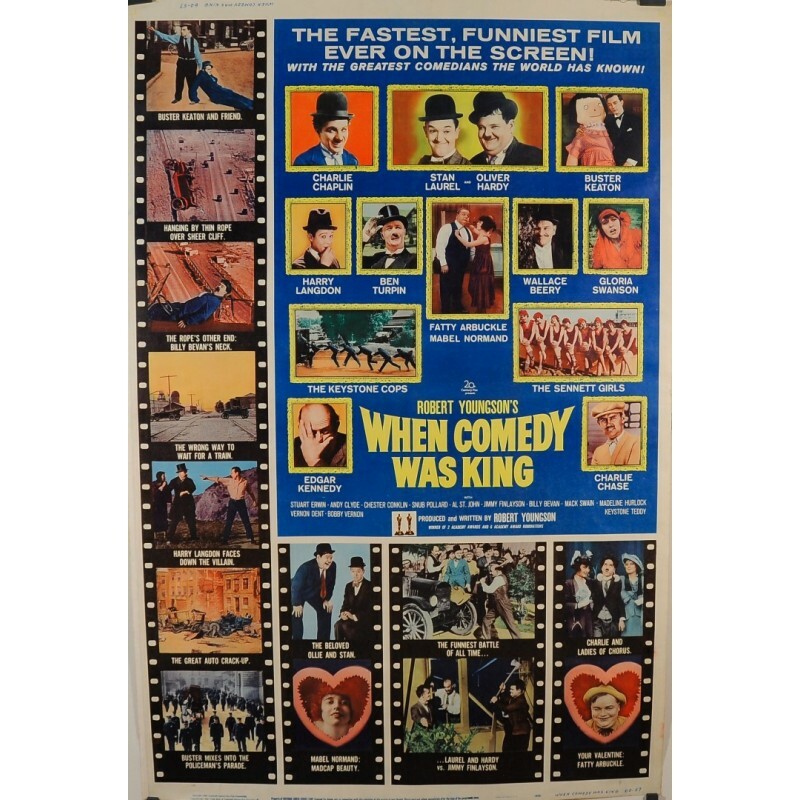 "When Comedy Was a King" Robert Youngson's loving, nostalgic review of the Golden Age of Silent Comedy with exceptional consideration regarding the several recognized comic masters of the period: Charlie Chaplin, Buster Keatonm and Harry Landon. 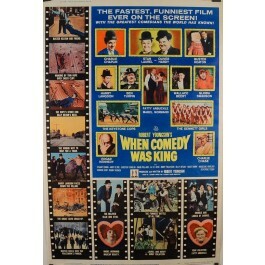 The two major satire studios of the time, Mack Sennett and Hal Roach, in particular Laurel a Hardy, are given credit as the awesome innovators of droll surface drama. 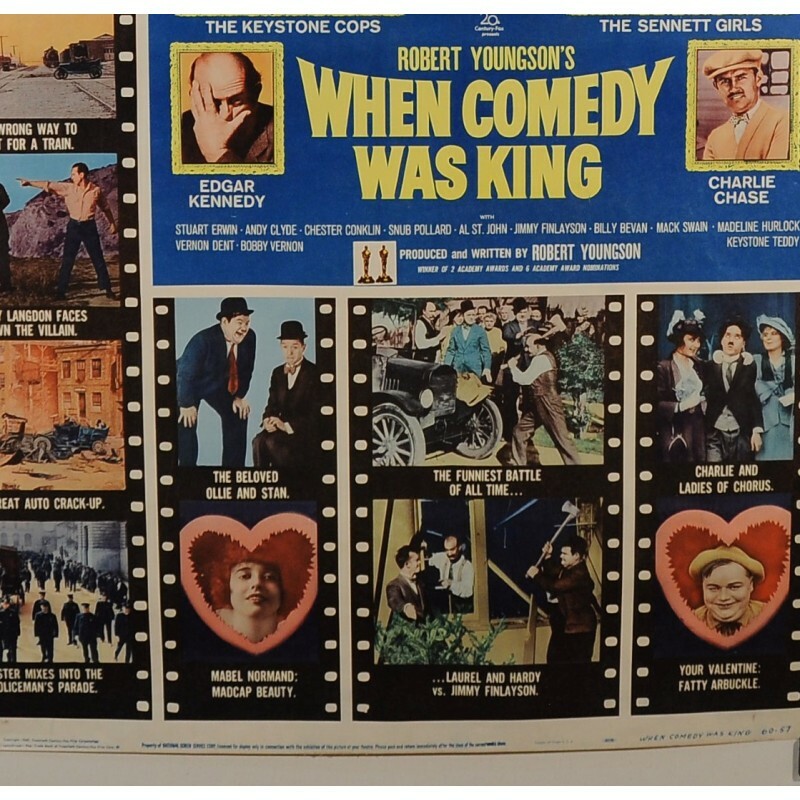 Robert Youngson's When Comedy Was King, the 1960 Robert Youngson comic drama gathering documentary ("You never dreamed a picture might be so clever"; "The record-breaking amazing humorists in their unsurpassed most excellent minutes! "; "The snappiest, funniest picture ever on the screen! With the most fantastic comics he planet has known!") 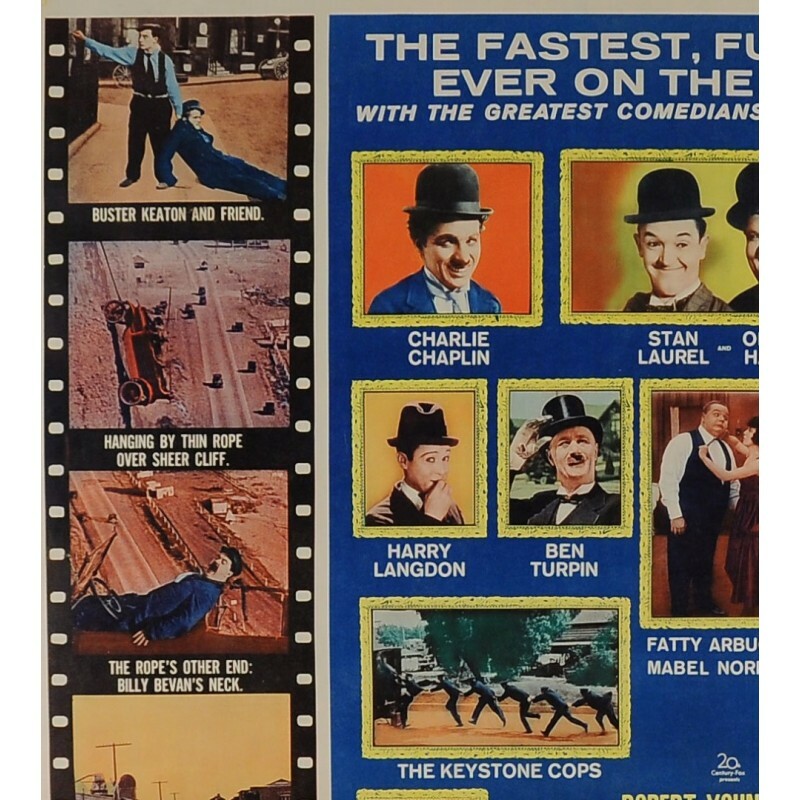 offering cuts from examplary comic drama motion pictures featuring Charlie Chaplin, Stan Laurel, Oliver Hardy, Buster Keaton, Harry Langdon, Ben Turpin, Wallace Berry, Gloria Swanson, Fatty Arbuckle, Mabel Normand, The Keystone Cops, The Sennett Girls, Edgar Kennedy, Charlie Chase, Stuart Erwin, Andy Clyde, Chester Conklin, Snub Pollard, Al St. John, Jimmy Finlayson, Billy Bevan, Mack Swain, Madeline Hurlock, Vernon Dent, Bobby Vernon, and Keystone Teddy.